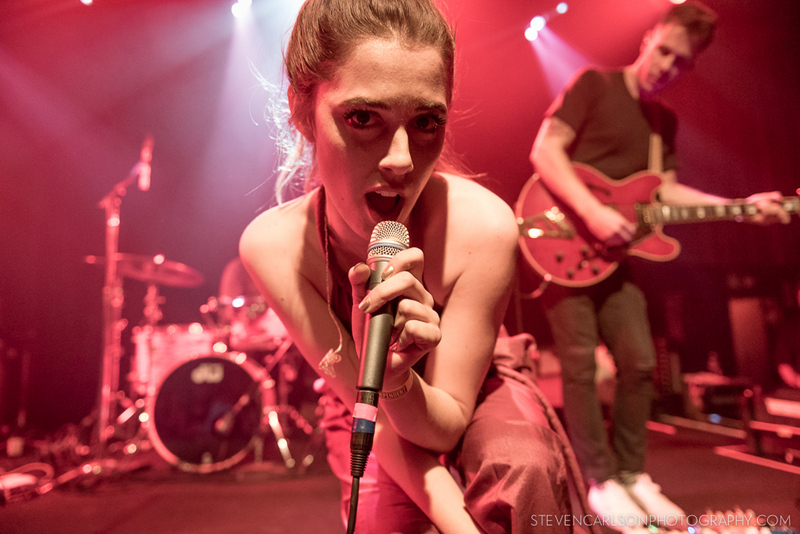 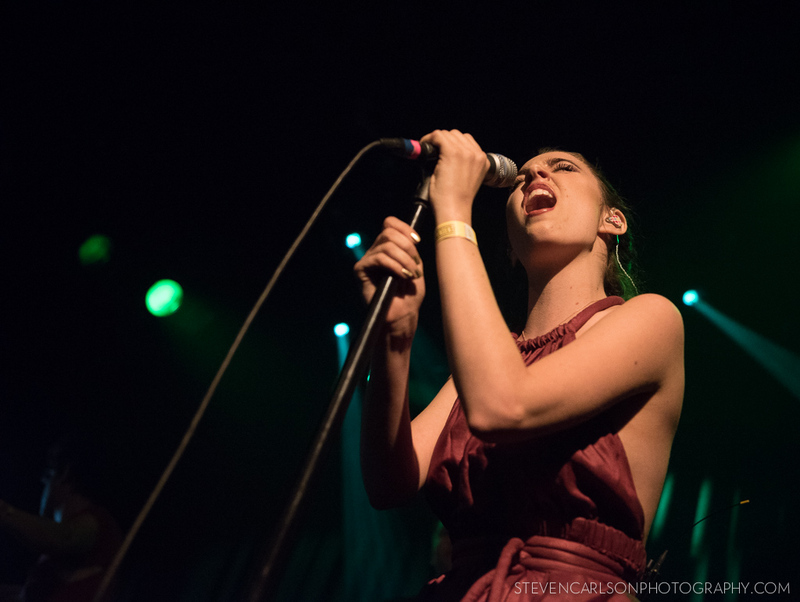 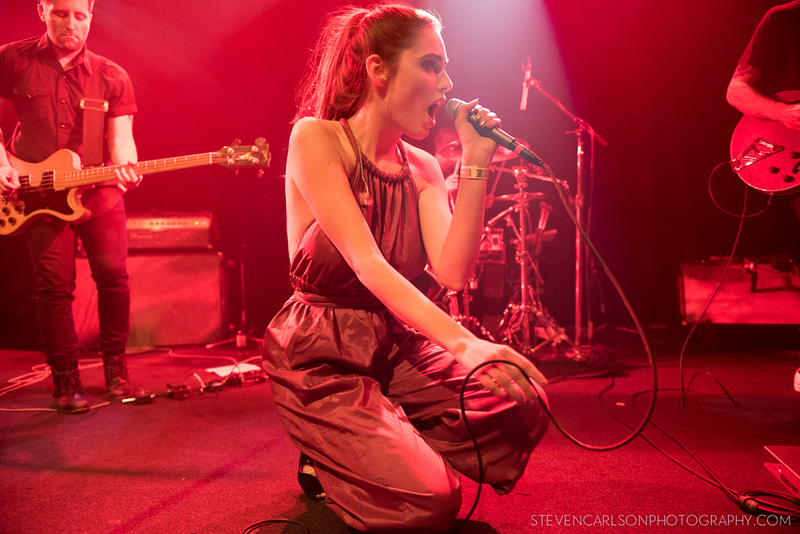 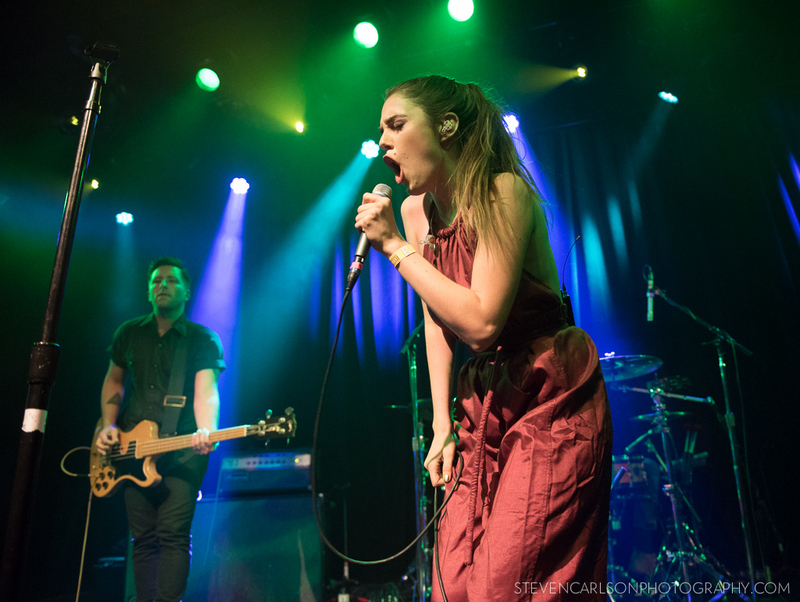 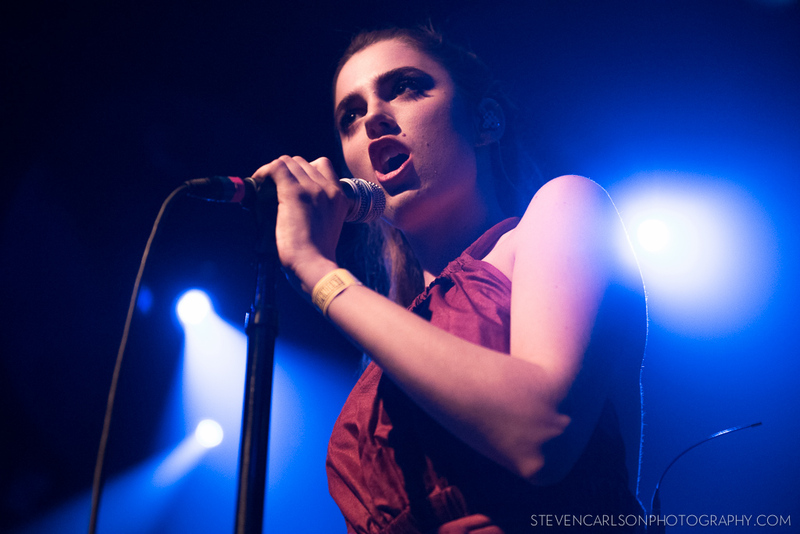 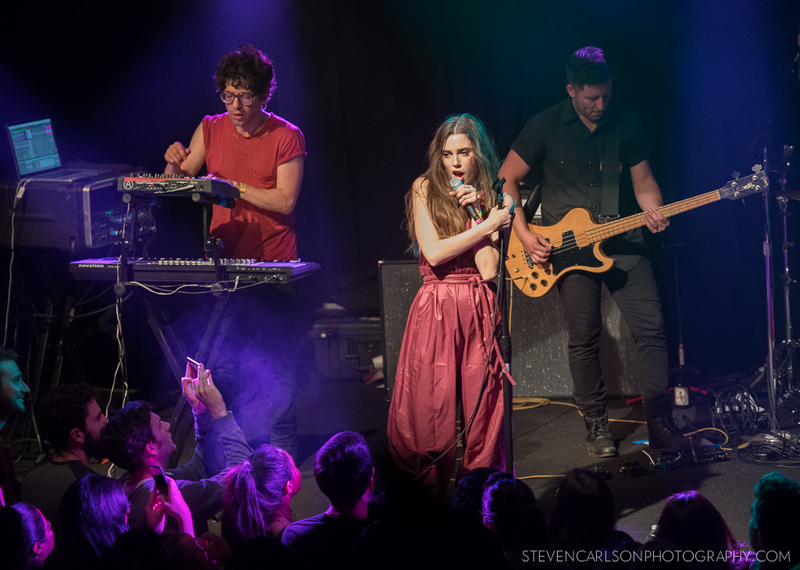 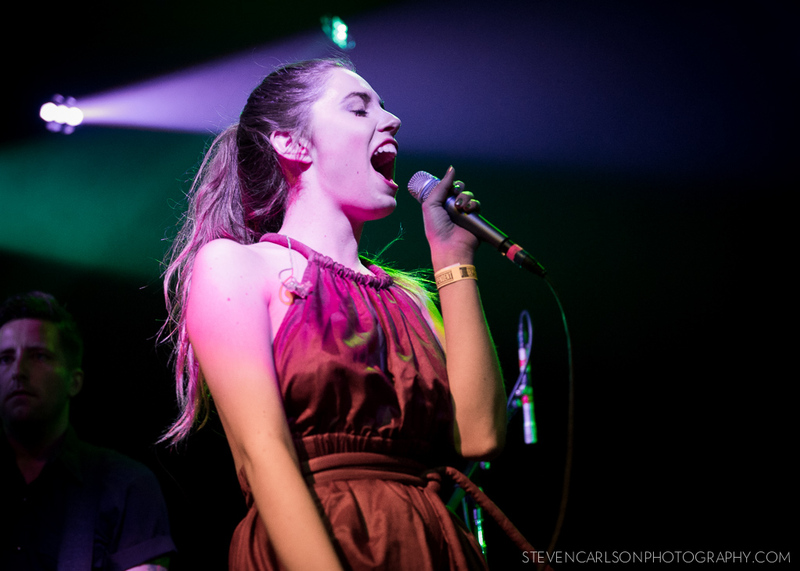 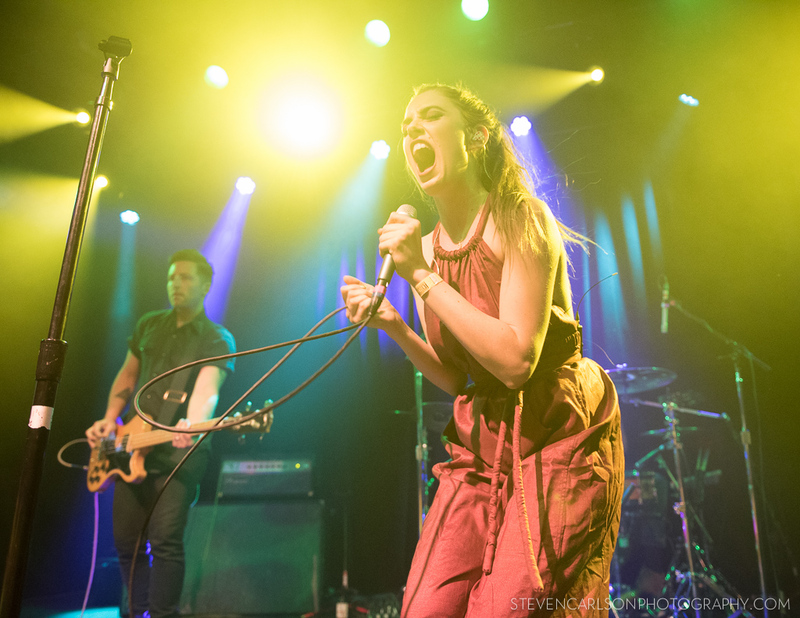 Midway between her two appearances in the Mojave Tent at Coachella, up-and-coming artist Ryn Weaver (aka Erin Michelle Wüthrich) brought her infectious brand of power pop to an eager capacity crowd at The Independent on Wednesday night. 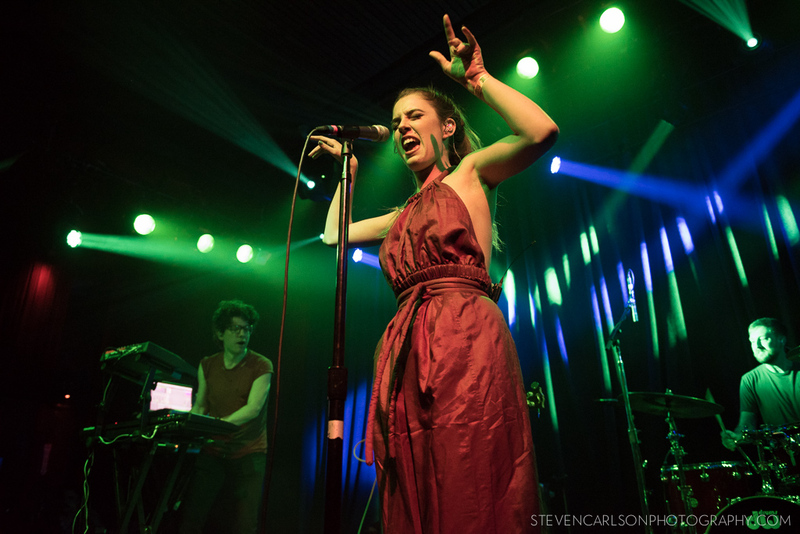 Anticipation has been growing for the “OctaHate” singer’s debut LP The Fool, which is scheduled to arrive June 16th, and her performance left little doubt that the anticipation is well-deserved. 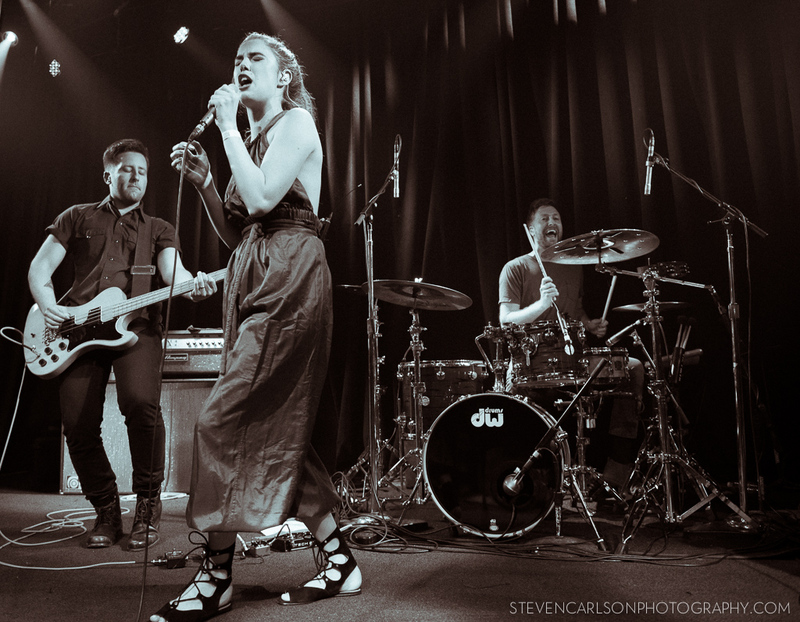 Weaver danced, twirled and belted her way through a tight and energetic 11-song set that clocked in at just 45 minutes, even with breaks for stage banter. 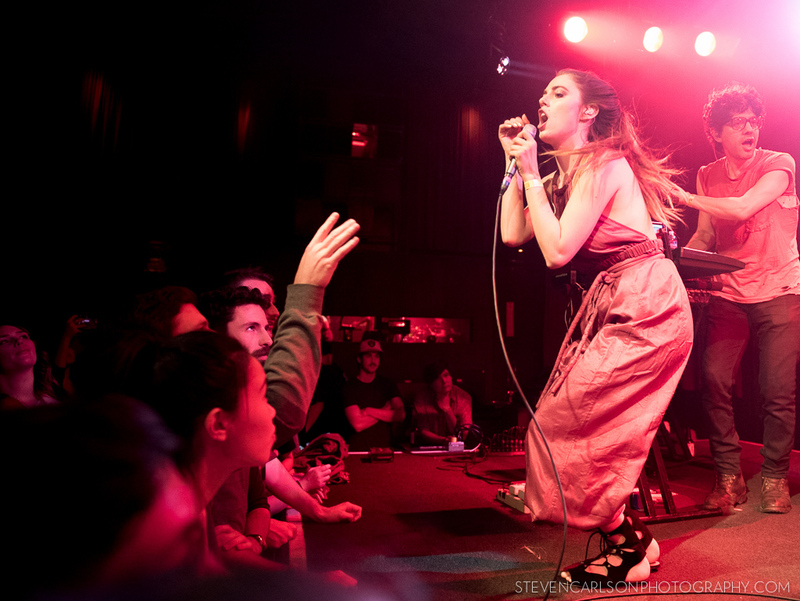 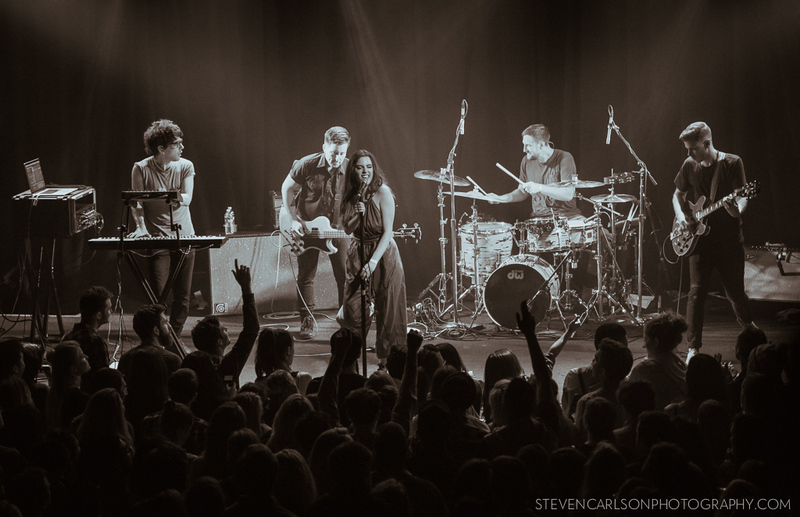 The highlights included the tracks “Stay Low” and “Sail On” from her 2014 EP Promises, as well as a lively rendition of her viral hit “OctaHate” to close out the show. 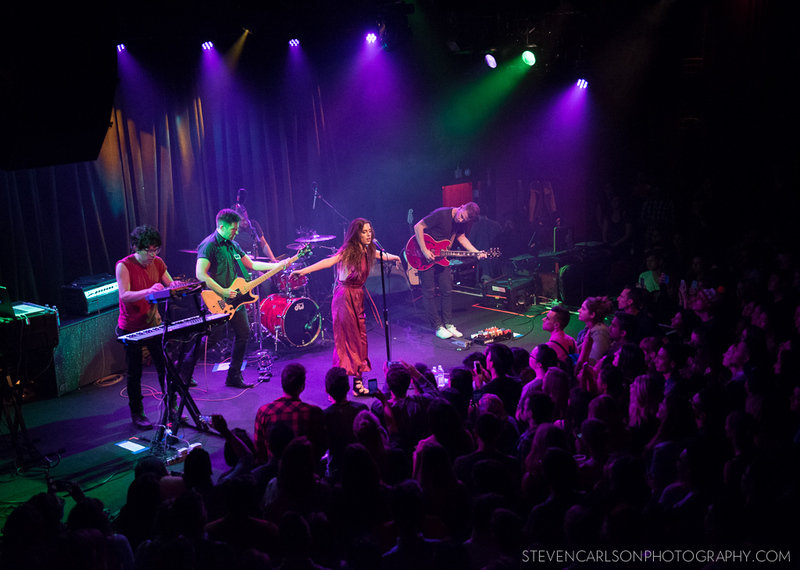 It was a sort of a homecoming for the 22-year-old songstress from Encinitas, Calif., who shared that she had been effectively homeless for the last couple of years while couch surfing with friends living here in the City (many of them were present at the show). 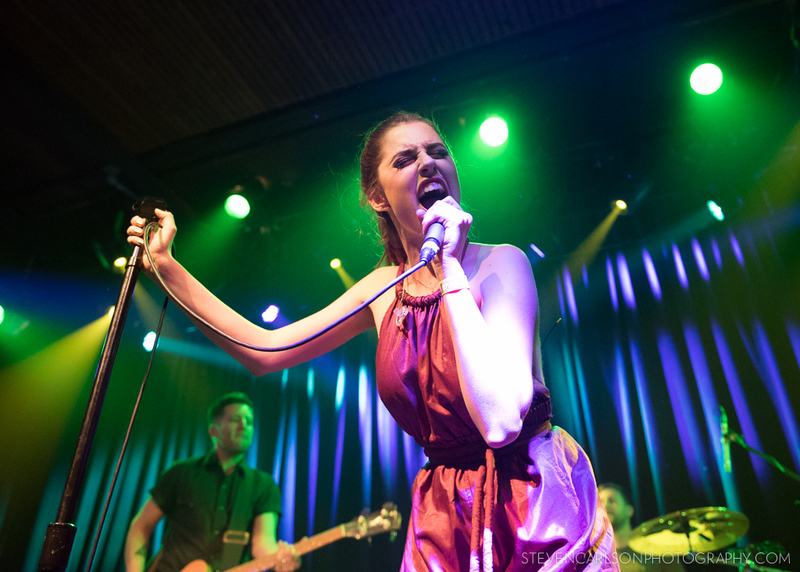 She also shared her love for the city by the bay, stating that when she gets her own apartment someday, it’ll be in SF. 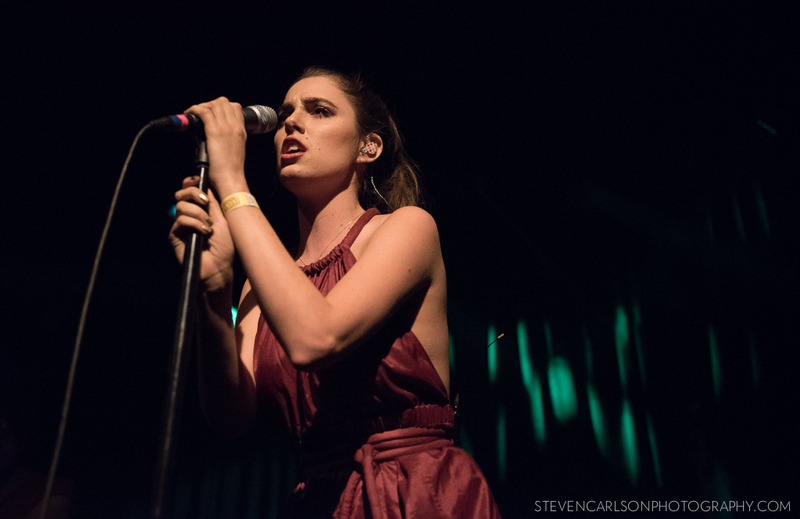 Judging by the crowd’s reaction to her short but powerful set, she’ll certainly be welcomed back with open arms.